Nike’s showing no signs of slowing in its quest to dominate the tech-fitness space. With the launch of the Nike+ Fuelband earlier this year, this was swiftly followed by the Nike+ Training and Basketball apps, which were designed to work with special Nike+ connected shoes. And now, Nike is on the verge of launching its latest plans to take tech to millions of homes around the world, with Nike+ Kinect Training. 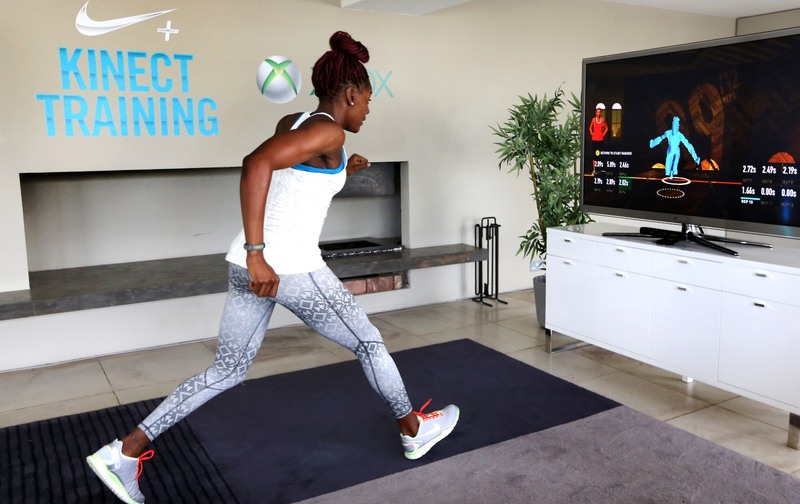 At a demo in Shoreditch, London, earlier today, The Next Web was put through its paces ahead of the official launch this coming Friday, with the new Xbox 360 ‘game’ featuring customized fitness regimes using the motion-sensing miracle that is Kinect. After watching one of the instructors using Nike+ Kinect, it was our turn. First up, you have to be ‘assessed’ for your basic level of fitness – a few squats and lunges were enough to tell the system how strong I was on each side, with Kinect detecting any shakes or wobbles along the way. It then constructs a programme for you accordingly, involving burpees, lunges and a bunch of other exercises (probably ending in ‘_es’) that I’d never heard of before. To ensure you’re correctly in position, next to the virtual on-screen trainer is a representation of you , the user, which turns blue when you’re making the right moves. And from our experience today, the Kinect sensor is very sensitive to this. Certainly, there’s no denying that Nike has carved a very large niche for itself in the tech-fitness space, and from our hands-on today, its partnership with Microsoft is testament to this. It’s worth noting, however, that this won’t be for everyone – though it does connect up with your Nike+ Fuelband and lets you ‘compete’ with friends virtually, it does rely on the user being proactive enough to use this on a regular basis. And for some, there will be no replacing the proper interactivity and engagement that comes with a fully-fledged gym membership. That said, with the dark nights drawing in, and gyms proving too pricey for many people, Nike+ Kinect Training will certainly appeal to a lot of people. The games launches this week, costing $49.99/£39.99. Meanwhile, check out the official Nike+ Kinect promo video below.